It is not a very pleasant experience because it is when your bones rub against each other when your joint cartilage wears away. It feels like your mobility is limited and you can’t enjoy the freedom you used to when you were younger. The good thing is that there are natural ways and remedies to provide you relief from this condition. 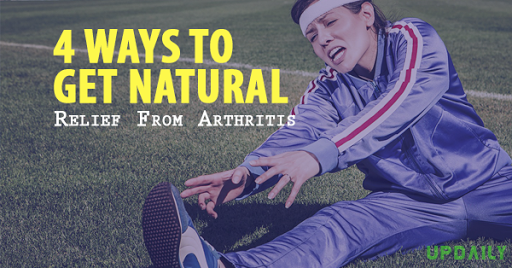 Here are some of natural ways to get relief from Arthritis pain. 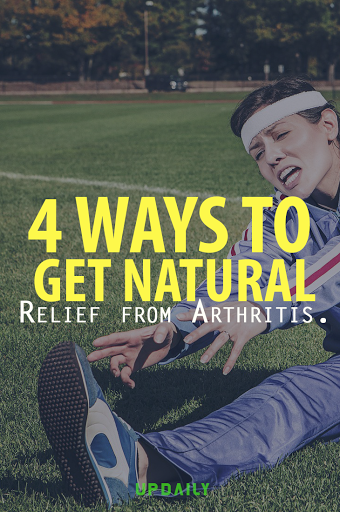 4 Ways to Get Natural Relief from Arthritis. People who suffer from arthritis are encouraged to do more physical activities and exercise. It does not have to be high intensity activities; the most important thing is that you have to keep your body moving even if it means taking a walk around the block every morning or doing some simple home exercises. 2. Try to lose weight. When you are heavier, there is more impact on the pain you feel when you have arthritis, so if you have this condition, you need to try to lose weight. That’s because your excess weight adds more pressure to your joints. But if you put some effort into losing weight, you will notice how the pain from arthritis is decreased and your joints will less likely to be damaged. 3. Use hot and cold therapy. When you feel the arthritis pain at any random day, one of the natural and easiest solution is using hot and cold therapy. The heat is what’s going to keep your joints loose, while cold therapy relieves the joint swelling and inflammation. 4. Add turmeric to your home cooking. Turmeric is an ingredient that has many uses and benefits. It contains a chemical called curcumin which is helpful in reducing the pain and inflammation caused by arthritis. Instead of taking medications, it is always better to use natural methods for relieving body pains especially the one caused by arthritis. Aside from being effective, you won’t have to worry about side effects because they are safe and natural.